The Bauer RE-AKT Hockey Helmet is the top of the line helmet from Bauer. The RE-AKT helmet features Bauer's new innovative suspended liner and advanced foams, that add another level of protection to the game when compared to any other hockey helmet. 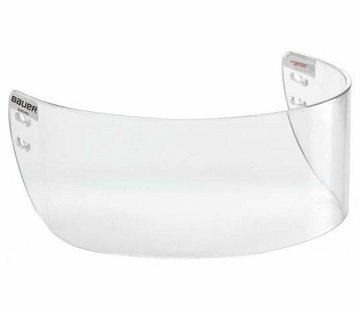 Adding to Bauer’s RE-AKT helmet protection is the use of PORON® XRD™ foam, a super light very pliable and breathable material that dissipates extreme force on impact. A proven gel-like foam used the Bauer 9900 helmet. Bauer uses PORON® XRD™ in the Suspend-Tech liner and in 2 key side impact areas. The rest of the interior liner is constructed of a Vertex foam that offers enhanced impact properties at both high and low energy when compared to the traditional EPP foam. The Vertex foam is also 20% lighter than EPP foam, but just as dense. For adjustments, Bauer has introduced a single tool-free shell adjustment. 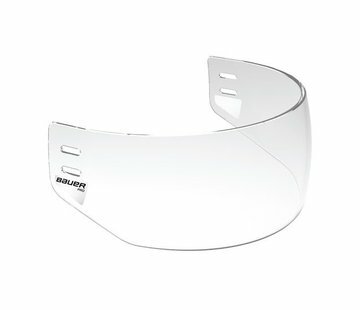 Quick and easy, located on the top of the helmet, just lift and slide to adjust the 2-piece shell to the correct circumference. To help snug up the helmet, Bauer has introduced the Occipital Lock 3.0. As seen on the 9900 helmet, but the 3.0 version features a slicker one button adjustment. The occipital lock uses a nice spongy foam to help stabilize and lock the back of the head in for a proper fit with maximum comfort. And of course, the Bauer RE-AKT helmet also looks great on. It features a new sleek look, modeled after the popular, pro-look of the 4500 helmet.